. : Rob Nelson | CMEG :. 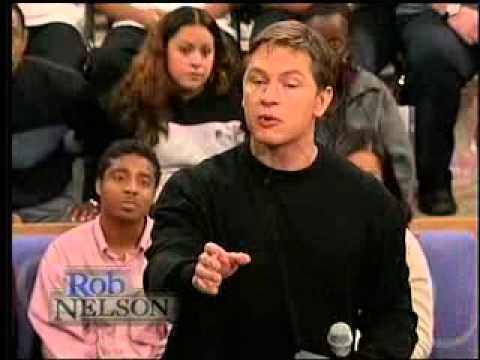 Rob Nelson gets people’s attention. Access Hollywood called him a young Phil Donahue. Good Morning America dubbed him one of the leaders of his generation. President Clinton called him "intense." Rob has hosted half a dozen national TV shows, including two of his own talk shows: The Full Nelson, a late night political roundtable on the Fox News Channel and, The Rob Nelson Show, a nationally syndicated daytime strip from 20th Television. He has also hosted a number of primetime reality shows: The Scholar (ABC); Under One Roof (UPN); Second Verdict (NBC/PAX); Family Forensics (A&E). Rob’s latest show, E! True Hollywood Story Investigates – Paparazzi, aired in February on E! Television. It was the highest ratings for an E! THS Investigates premier ever. Rob is also host of The Rob Nelson show every weekend on KABC radio in Los Angeles -- the third biggest talk radio station in the country.. In addition to his hosting, Rob executive produced a presentation pilot for Showtime and was a consulting producer for his E! THS Investigates show. He currently has a number of television projects in development as a producer. In the 1990’s, Rob co-founded Lead…or Leave, a generational political movement that became the largest twenty-something organization since the 1960s. Rob’s activism made it into the Presidential Debates and landed him on 60 Minutes, in the lead story on The NBC Nightly News, and on a special edition of ABC’s Nightline. Rob was on the cover of US News & World Report and has been profiled in Time, Newsweek, The New York Times and The Wall Street Journal. He has been a guest on numerous TV shows and networks including The Today Show, Good Morning America, Fox News, CNN, MSNBC, Montel Williams, and Politically Incorrect. Rob is the author of two books: Revolution X, published by Viking Penguin, and Last Call: Ten Commonsense Solutions to America’s Biggest Problems, a political manifesto published by Random House. Rob attended Stanford Law School, where he earned his JD. During law school, Rob also did a stint on the White House staff and was a member of the National Youth Reelection Committee for President Clinton. Rob has a pilot’s license and is a certified scuba diver. Among his outdoor accomplishments, he has summitted a 20,000 foot active volcano, solo canoed 70 miles into the Boundary Waters, climbed a glacier in the Canadian Rockies, solo parachuted from 10000 feet, and herded a prize bull on a ranch in Wyoming. 60 MINUTES AND IN “TIME MAGAZINE,” “NEWSWEEK,” THE COVER OF “US NEWS & WORLD REPORT.” THE TODAY SHOW, GOOD MORNING AMERICA, NIGHTLINE, TALK BACK LIVE, AND POLICITCALLY INCORRECT WITH BILL MAHER.